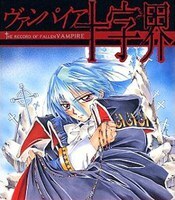 Plot Summary: Thousands of years ago, the world was almost destroyed when the vampire queen released her latent powers. Thus, she was sealed away by the humans and dhampirs. However, even today, the vampire king, betraying his own race and the dhampirs, is trying to seek out the real location of the seal in order to revive his queen. Fearing the destruction of the world, the humans and dhampirs continue to hunt the vampire king, using whatever methods possible.